With the success of DC Universe’s shows to date, it’s hard to deny that the service has earned a little bit of credibility. Titans and Young Justice: Outsiders have both been very successful in meeting or exceeding fan expectations, proving that there’s far more to this whole DC streaming idea than HD episodes of Batman: The Animated Series and a solid (and growing) collection of back comic book issues. Titans started out okay and got very good quickly, while Outsiders hit the ground running. So, it’s fair to say that the service had earned itself a little faith. If there’s one thing you can say about Doom Patrol, its that it puts said faith to the test. That’s not a slam. We’ll get into all the ways that the series is good. But the show is in your face right from the get-go. It dares you not to like it. Every time you think it’s going to go right — or, at least, should go right — it does a hard left. And the amazing thing about it? For the most part, it works. There are some trip-ups, and we’re getting into those here shortly. But under the guise of Greg Berlanti and Jeremy Carver (the former of about all of the DC shows, the latter of Supernatural), the first episode manages to hit all the proper beats, even while it seems to be doing its best to avoid them. That’s part of the magic of Doom Patrol, in the illusion it puts up of being completely off the proverbial rails. Our villain/narrator Mr. Nobody complains about superhero shows and suggests this is something else, because the Doom Patrol are “super-zeroes.” And sure, there’s some truth in that. But for a non-superhero show, it really does follow the base structure. The pilot is basically a series of origin stories tied together into one, all to make the origin of a pseudo-team. That’s about as traditional as it gets. But the main beats aren’t what needs to change to make this fresh. I don’t like the specific show-to-film comparison here in most respects, but Deadpool was similarly, at its core, a pretty standard superhero film. It just tweaked the curves and grade along the road to come up with something holistically very different. It’s the same with Doom Patrol. These four characters aren’t the Justice League or the Avengers. And yet, they are at their core, a group of damaged people with special powers thrown together in order to save the world. That’s the Avengers, the Guardians of the Galaxy, the Agents of SHIELD, Task Force X and, yes, even the Justice League. This is where the character beats matter, and where Carver (who wrote the episode) excels. The primary eyes of the audience are Cliff, aka Robotman. It’s through his story that we come to learn more about the place where he lives. Cliff is a less than decent individual when we meet him. 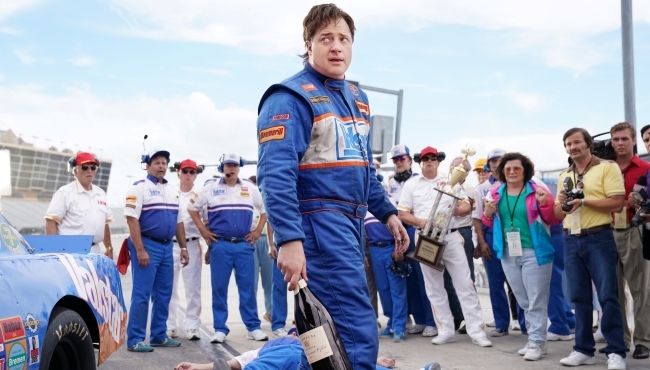 He’s screwing the maid, which ultimately screws him when his wife reveals mid-race that she is doing the same with his pit crew chief. This appears to be the reason that Larry dies, and Carver does a nice job of insinuating that. But the truth is better, and more tragic. Larry survived and tried to (eventually) correct his life, which led to the accident that nearly killed him and did kill his wife. In short, Larry was a screwed-up guy before he ever became a robotic man. And he’s not the only one. Rita was/is vain to an extreme. Dr. Caulder deceives Cliff at least three times in this episode and has a lot more he’s not telling. Crazy Jane — ugh. We’ll get to her. But the point is, Larry is about the only truly good guy, and even he has his hang-ups. Carver’s ability to mix the comedic and the tragic does this show wonders. In the hands of a lot of people, this episode would have been a tonal mess. It swings wildly from comedy to horror to drama and doesn’t take much time to send the pendulum flying in one direction or another. But he keeps the script flow natural, and director Glen Winter navigates the episode’s mood well. The cast is more than up to the challenge, too. 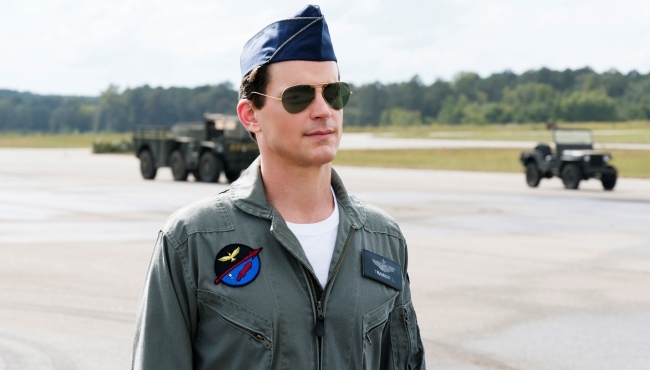 Matt Bomer and Brendan Fraser match up well with their -onset performers in Riley Shanahan and Matthew Zuk, respectively. 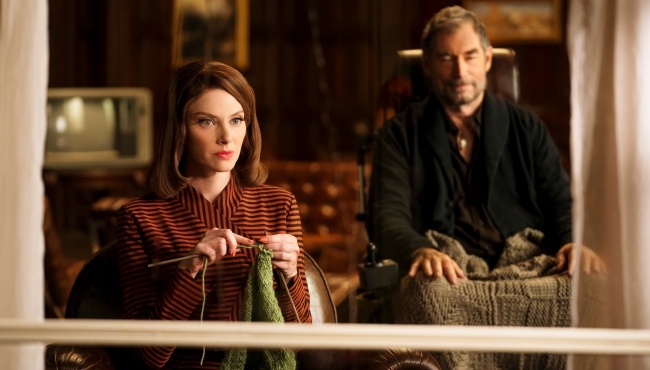 April Bowlby makes Rita sympathetic, and Timothy Dalton has the gravitas that Bruno Bichir lacked in the Titans Doom Patrol episode. Jane is the single bad spot on this show, at least in the pilot. Dissociative Identity Disorder can be done well in a superhero show. (See: Legion.) This isn’t it. Carver portrays Jane as the “CRAZY” one, with all those letters intentionally capitalized. It’s caricature and while the concept of Crazy Jane (and Legion) is a solid one, it’s also tricky to pull off. Every time Hammerhead comes out, Jane has to go off into la-la land and it undercuts her better work, like when she shares a moment with Cliff in town or turns the bus around. There’s still potential with this character, but right now she’s the role I’m dreading seeing more of. One thing I am not dreading is seeing how far Carver and company lean into the weird. This episode ends with the reveal of Mr. Nobody in all of his strange geometric glory, and a donkey that farts out Mr. Nobody’s catch phrase before a hole opens in the ground. Suffice it to say, the bar is pretty high for how odd this show gets. But it’s built a foundation in Cliff, Rita, Larry and Niles (and, if she gets better, Jane) that grounds the show amidst the oddity. It’s going to take a real effort to stay grounded if the show stays this weird as I expect it will. But there’s enough here for me to have faith that it can pull it off. • Welcome to our coverage of Doom Patrol! I never thought I would be this excited about seeing a Doom Patrol series and yet, here we are. • Good effort, Mr. Carver. But I’m not taking the bait on the “Critics are gonna hate this show” bit. • I’m not as familiar with Crazy Jane as some, but nothing I could find says agelessness is a personality power. So, does someone wanna explain to me how she’s been around since the 1970s and apparently hadn’t been home in twenty-odd years before the present day? • “Hey, what was it like getting buried in a pyramid with your cat?” I appreciate Cliff’s dedication to accurate Egyptian references in his insults. • Shout out to the musical supervisor for this episode, because the score and the song choices were just absolutely on point at any given moment. • Next week: Cyborg shows up! That should be fun. 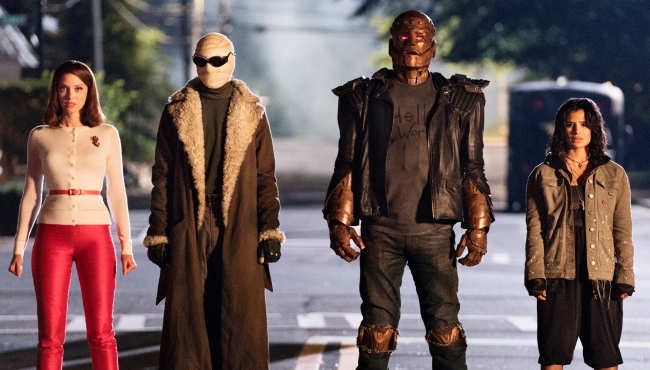 Doom Patrol gets off to a nice start with its pilot episode, with the exception of Crazy Jane's characterization and dialogue. Excepting that glaring error, showrunner Jeremy Carver delivers a strong first script here that tells the viewers what to expect and establishes its characters as well as it does its tone. There are a lot of ways it could go wrong and the writing of Jane isn't just a minor flaw, but it's definitely still a winner on the whole.